There are thousands of people becoming authors each day, but there’s one thing you can do to become unique and rise above the competition…increase your efforts. That may sound simple, or even like common sense, but 80% of authors make little effort once their book is self-published, or make little effort once they sent a few submission letters to traditional publishers. Remember that 80% of millionaires throughout history started with little money. In some cases, they were poor and in massive debt, which means they started in the negative! 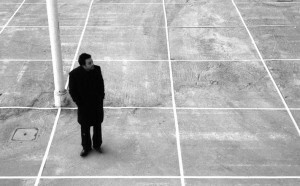 What are the top 20% of authors doing? They are committed to improving their writing and marketing skills, along with increasing unique ideas to become different. Those are both valid answers, but the truth is, anyone that thinks they can’t do something, will accomplish just that…nothing. For those who believe they can overcome their circumstances, they will succeed. This answer has several encouraging meanings, as long as you believe these billionaires are being genuine. First, everything you need to become successful is in business books, marketing books, biographies, inspiration books, motivation books, even fiction books! You might be an avid reader and still not succeeding. What you need to do is read, take notes, and apply what you read to your author career for both story writing and marketing ideas. Also, it’s better to read a variety of books in short bursts, rather than trying to read one book for a couple hours a day. Your goal is to gain ounces of wisdom by meditating on what you just read and applying several different ideas to create one amazing, unique idea! It is your duty to remind people that reading has value. This starts with believing that yourself, then passing along to others. Here’s another amazing fact. 80% of authors won’t finish this blog, because they have other things better to do than increasing knowledge and improving their author career. 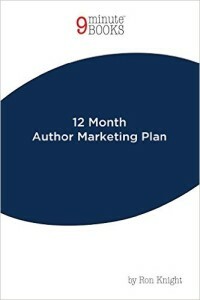 Propel your marketing campaign by reading, 12 Month Author Marketing Plan.